Macs are often seen as superior to Windows PCs when it comes to security, however, Mac systems are not without their flaws. Using a VPN with Mac helps prevent hackers from accessing your personal and confidential data. You can also unlock more content by using a VPN service. One of the largest problems with Macs is that software (including VPN clients) is more commonly written for Windows systems. We have listed the 5 best VPNs for Mac below. All of these services have fantastic Mac clients so you can set up in minutes. Although Mac devices are fairly secure overall, it definitely can’t hurt to enhance your digital privacy and security via a VPN for Mac. After all, it’s not unusual for ISPs and governments to spy on your online activities. With a VPN for Mac, you can rest easy knowing your identity is safe, your data is private and your overall online environment is secure from any third party onlookers. Alas, it seems that, with over 800 VPNs on the market, finding the ideal VPN for Mac can be difficult and even intimidating. Luckily, this is where our team at VPN Analysis comes in. We want to make the journey as easy as possible. During our years of researching, analyzing and reviewing, we were able to select the top five VPNs for Mac that excel in all aspects. Simply stick to our recommendation and you can’t go wrong. What are the top 5 VPNs for Mac? Check out the summaries below for an indepth look at the best VPN clients for Mac in 2018. ExpressVPN is a VPN provider based in the British Virgin Islands that offers an excellent service to Mac users. To start, ExpressVPN provides users with excellent military-grade OpenVPN encryption, a strict privacy and no logs policy and DNS/WebRTC leak protection. Additionally, ExpressVPN offers 90+ server locations with fast speeds to go along with them and “stealth servers” located in Hong Kong for additional privacy. ExpressVPN also includes a free Smart DNS service in their package. If you have any issues with your service, ExpressVPN’s dedicated 24/7 customer support will be there to help you in a very timely manner. Finally, ExpressVPN also offers a 30-day money-back guarantee for unsatisfied users. See the ExpressVPN website for more information. Additionally, NordVPN allows P2P activities and offers excellent server speeds. NordVPN also provides CyberSec anti-malware protection, a Smart DNS service, dedicated IPs (at an extra cost), a double VPN and a system kill switch. If you’re still hesitant to try NordVPN, you can rest easy knowing they not only offer a free trial – but a 30-day money-back guarantee as well. See the NordVPN website for more information. Additionally, CyberGhost provides excellent speeds on most servers, a kill switch, P2P allowance on select servers, Bitcoin payment options and free browser add-ons. If you’re still iffy on trying CyberGhost, you can always use their 7-day free trial or their 30-day money-back guarantee. See the cyberGhost website for more information. In addition to their accessing blocked content capabilities, PrivateVPN also offers amazing speeds for streaming that blocked content. PrivateVPN also offers an easy-to-use app for the less tech-savvy users. A downside to PrivateVPN – you have to manually configure the DNS via the provided guide. Fortunately, the guide isn’t hard to follow at all. PrivateVPN also offers a 30-day money-back guarantee for unsatisfied users. See PrivateVPNs website for more details. VyprVPN is a VPN service with providers based in Switzerland that offer 70+ server locations, 24/7 customer support, fast streaming speeds and excess features like its proprietary technology, Chameleon. VyprVPN provides you with five simultaneous connections for all your macOS and iOS devices and excellent OpenVPN encryption. While VyprVPN does not store usage logs, they do collect and store connection logs for 30 days. Another downside to VyprVPN – you definitely should not participate in P2P activities while using it. If you’d like to sample VyprVPN before purchasing, you can use their free 3-day trial. Take a look at VyprVPNs website for more information. The section below will tackle the most frequently asked questions involving Macs and VPNs, with in-depth answers given by our VPN experts. What is a VPN for Mac? A Mac VPN or Virtual Private Network is a technology that provides you with security and privacy via encryption. A VPN at work will redirect your network traffic to the encrypted VPN server. When you’re connected to a VPN, your information is secure. You can’t be spied on. In other words: a VPN helps protect you from internet censorship and government/ISP surveillance. What devices will my Mac VPN work on? The best part about your Mac VPN is that it will work with any Apple product – and even non-Apple products. Depending on the number of simultaneous connections allowed, you could use your Mac VPN on your Mac, your iPhone and your iPad. That being said, there is a difference between macOS and iOS. This means your macOS app will not work on iOS devices. Fortunately, the solution is simply downloading the appropriate app for whatever device you want to use your Mac VPN on. Your Mac OS might be fairly secure already, but in today’s digital age of privacy invasions and vulnerabilities, you can never be too secure. A VPN for Mac will help you maintain your online privacy and security. Better yet, your Mac VPN can also be used to access geo-restricted content, torrent in a private online environment, and defeat internet censorship and government surveillance. What have you got to lose? Try one of our recommended Mac VPNs today. Why are you recommending Express VPN as the best. Is Express VPN actually the best VPN for Mac users..? I am a bit confused should I go for economical VPN or finest quality VPN service..? does cheap VPN services are able to provide me with satisfactory performance..? I think where the VPN main office should be a consideration. For example, it’s my understanding that US law requires that US based VPN companies store logs of all users. If that is the case, your surfing is only private for as long as it takes the NSA to access those logs! You have rated ExpressVPN as best. 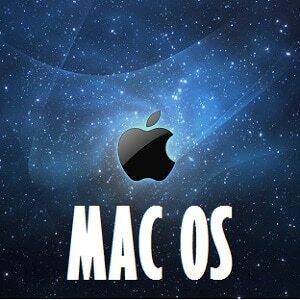 Do they offer dedicated Mac client or someone has to manually setup it on Mac OS device? Yes ExpressVPN offers dedicated VPN client for its Mac users. Once you signup they will provide you their Mac clients “Mac App 4.0”, “Mac App 3.X” and you can also manually configure through their detailed step by step Manual Setup. We have recommended it because our team at VPNAnlysis tested ExpressVPN and other services and found that it is the best among all. You can use it on other Apple devices like iPad and iPhone.